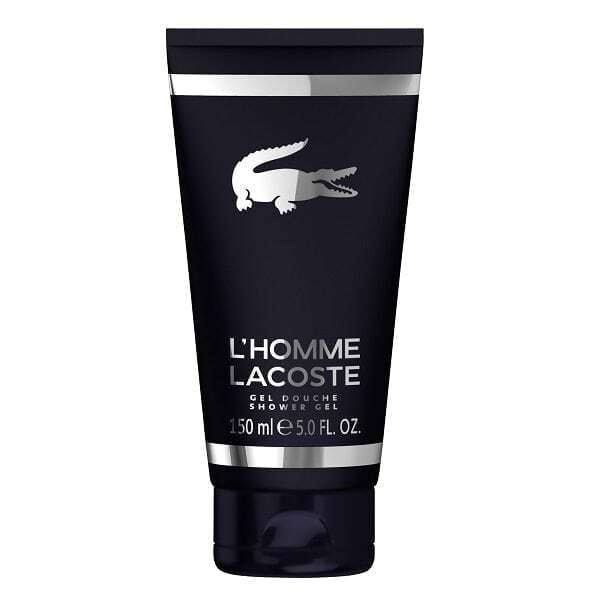 Lacoste L’Homme Shower Gel 150ml. This refreshing and invigorating shower gel is infused with the fragrance of Lacoste L’Homme which contains notes of mandarin orange, sweet orange, quince and rhubarb which lead to a heard of black pepper, ginger, jasmine and almond. The base finishes with cedar, woody notes, amber, vanilla and musk. Most distinctive notes are almond and ginger and is a moderate lasting fragrance.